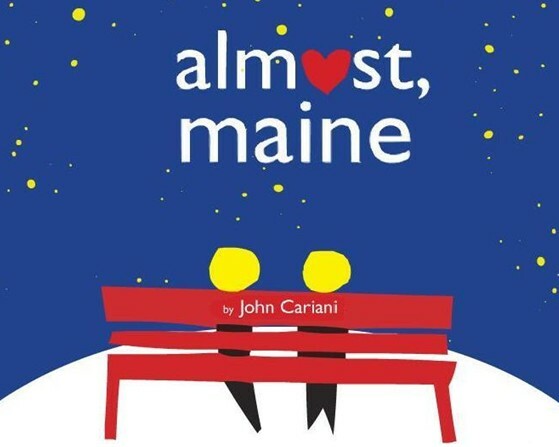 Take a journey to the mythical Almost, Maine where love is desired, found and lost. John Cariani creates a world that is sure to capture your heart in its eight short stories. Focusing on what is almost there, couples experience what it is like to live on the edge of uncertainty and discover that love can happen anytime and anywhere. Come experience the whimsy that surrounds the tales from Almost, Maine and recapture the innocence in your heart. Written by John Cariani and directed by Skip Grover. All shows are at 7:30pm. General public $12; over 65 $10; under 18 $7.50; UW-Whitewater Students w/ID $4.50. Call 262-472-2222 for tickets, Monday-Friday 9:30 a.m.-5:00 p.m. or visit tickets.uww.edu to purchase online. The Council for the Performing Arts will be hosting a BRAT FRY Fundraiser from 10:00am to 2:00pm. We will be serving brats and hot dogs with all the trimmings, along with your favorite cold beverage and chips. Large orders can be phoned in in advance so they will be ready for your pickup. Come and enjoy – it’s an easy way to support the arts! Luminary service Friday evening, live music, camp out in Commons Park. Bike & Hike With the Artists along the Glacial Drumlin Trail/Glacial Heritage Area (GHA) south of Lake Mills. Travel along the trail through Zeloski Marsh, Korth Park and east through town to the bridge over the Crawfish River. Stop and interact with the painters, sculptors and writers who will be working along the trail. Some food and drink will be sold but this is a free event to highlight the natural beauty of the Glacial Heritage Area. Lake Mills – Glacial Drumlin Trail. This event involves 10-12 artists from the Arts Alliance of Greater Lake Mills, and they will be set up at stations along the Glacial Drumlin Trail, from the bridge over the Crawfish River near Aztalan State Park, to the old train depot in London. The artists will be engaged in artistic creation inspired by the GHA – painting, wood working, sculpting, etc. – and hikers/bikers along the trail will have the opportunity to stop and interact with them as well as learn about the GHA.